In an earlier post I wrote almost a year ago I described some options available to engineers to switch to physics at the masters and PhD level. I am glad to see the positive reception that it received. Knowing that it has inspired so many young B.Tech/B.E graduates to rethink the conventional viewpoint that we entertain in our country is very satisfying. Apart from the comments under my post, I also had some people contact me through social media to know my story and ask for personal guidance. I am always there to help if there is any information or guidance you need. That being said, in today’s article I will quench your curiosity as to where and how I did my masters in physics after doing B.Tech. I am a B.Tech graduate who specialized in Information Technology. I completed my graduation in 2006 and entered my MSc Physics studies in 2016. So there was a 10 years gap between my undergraduate and post-graduate studies. During these years I worked in many different companies and experimented with several things both academic and otherwise. I am not going to get into the details of all that but what I can say is that I became old and wise in the process. This wisdom has given me a lot of perspective in life which I probably wouldn’t have if I was just a fresh graduate from college. If you are under the impression that I did my masters in some well known university or institute such as IIT or JNU or somewhere abroad as I listed in my earlier post, I am sorry to disappoint you. I did my masters in a relatively lesser known university. The place where I did my masters is called Central University of Haryana or in short CUH. It is an institution under the Department of Higher Education of the Ministry of Human Resource Development. There are at present 40 universities in India that are classified as central universities and CUH is ranked 28th in that list. You may view that list in this MHRD link. CUH has a student population that is diverse as I have seen students from across the country coming and studying there. Just like in any other university, there are opportunities for self improvement with frequent talks by invited speakers and also other programs such as GIAN courses. In addition, there are many cultural activities and events. When I was studying, there were about 20 students from Kerala and we even conducted an Onam Celebration and made all the non-Malayali students to participate in various games as part of the festival. It was fun. In the following paragraphs, I will describe the way you can get in to CUH and also the physics department. CUCET stands for Central Universities Common Entrance Test. This is the exam you need to take in order to get admission to CUH. Compared to IIT – JAM, GATE, JEST, DU, JNU etc., this entrance is relatively easy. Its pattern keeps changing so you need to check the current pattern if you are giving this test. Now, I will never insist you to only write CUCET. If you are interested in going to only premier institutes or some place abroad then by all means do that. However, it is wise to keep CUH as a safe option just in case you don’t want to waste another year in preparation. For me personally this was the only option left as I didn’t have too many years to spare. Following the result of CUCET, you will be called for counseling depending on the institute preferences that you have given. I had given the options viz. Central University of Punjab, Central University of Haryana and Central University of Kerala. I received a counseling invitation from CUH and the rest is history. Depending on your rank in the exam you may have to go for multiple counseling. Once your admission is confirmed, you may choose to live in the hostel or take a room elsewhere. I took up a single room in Mahendragarh town which is 12 km from Jant-Pali village where the university building is situated. The daily commute was a problem but I preferred to live in a place where basic amenities such as market, restaurants, medical stores etc. were available. So the choice is yours as to whether to live on campus or some other place. Now we will get to the crux of the matter. The department of physics at CUH offers both MSc and PhD programs. It is new compared to other departments but there are many advantages if you do MSc from here. The most important part of any university department is its faculty. The faculty members of CUH physics department are experts in their respective fields. They have done their PhD from prestigious institutes such as IIT, JNU and DU. In addition, some of them have done their post-doctoral research abroad and have a good list of publications in prominent physics journals such as Nature and Physical Review Letters. They have been more than willing to share their knowledge whenever I had doubts and difficulties throughout the course. In fact one of the reasons I decided to stay in CUH rather than dropping another year to repeat entrances is because of the good faculty members. They are friendly and knowledgeable and being associated with them would be very good for your profile. These subjects are core for obvious reasons. As a physicist you are supposed to know them. If someone asks you a question in these, you should not blink. All the other advanced topics that you learn in physics are an extension of these. So irrespective of where you study, you will find these in the syllabus. Apart from the theoretical core subjects, there are three laboratory courses as well which you have to take in the first three semesters. There are other electives too as you have noticed in the syllabus. There are also two seminar presentations that you have to give in the first two semesters. In the final semester, there are two types of projects offered to the students. The major project is a full fledged 24 credits project work that you have to undertake for an entire semester. You won’t be doing any coursework if you have chosen to do a major project. You can either do the project at the department under one of the faculty members or you can go to a different institute. Many students from my senior batch as well as my batch went to places like IUAC, RRCAT, SINP, DU and NISER to do their major projects. If you have an opportunity like that, I would suggest you take it as it will add a boost to your profile. You can also get references from such institutes which will aid you in your PhD applications. There is a second option called minor project. If you are interested in doing some coursework then you can opt for a 12 credits project. But if you choose this option, then you will have to study 3 subjects worth 4 credits each to account for the remaining 12 credits in the curriculum. I chose this option because I wanted to showcase some coursework in my resume. My project was in the subject of cosmology. In addition to working on the project, I did three courses viz. Astrophysics, Nonlinear Dynamics and Superconductivity. There will be a project viva taken by an external examiner at the end of your project. Make sure that your presentation is precise and concise because you won’t get too much time to get into details especially if the examiner has a different specialization compared to the subject in which you have done your project. Now this is a very curious question. Was it difficult for me to do my MSc after B.Tech? Well, I would answer that with a yes. However, this answer is not generic. It is a very personal one. I am saying it because one of my juniors who is also a B.Tech graduate doesn’t find it difficult at all and he is one of the toppers in his class. I believe that any difficulty in the coursework could be related to how fresh your mind is. If you are a fresh graduate or only have 2 or 3 years of gap after your B.Tech, your mind is still fresh and you are young. My case was totally different. When I started preparing for MSc entrances, there were so many things from which I was out of touch. In 12th std and in the first two years of engineering, we learn so much mathematics. But by the time I started my entrance preparation, most of those mathematical concepts had faded away. Relearning them was the most difficult task in my opinion. Quantum mechanics was also slightly hard to digest in the beginning. I never learned QM in my B.Tech and it was a totally new experience. It was much later that I grasped the meaning of the statement, “never try to understand quantum mechanics“. Another difficulty I faced was unlearning the engineering way of thinking and learning the physics way of thinking. Even though physicists and engineers have the same intellectual capacity, the perspective that both disciplines instil in their students is very different. You can’t ask a physicist to build a bridge and you can’t ask an engineer to sit and indulge in abstract theoretical thoughts. They both require different parts of the brain. However, it is certainly possible to switch if the situation demands it. I am glad and proud that I can now switch to both ways of thinking whenever needed. Now that I have completed my MSc, I am confident that I can tackle any subject in physics. The two years you spend studying in an institute will certainly rewire your brain and I am happy that it did. This my friends is where I am going to make all B.Tech graduates happy. We are first and foremost engineers. We build things ranging from large scale structures to computer software. Throughout our B.Tech curriculum, one thing that is taught always is to gain practical skills that can be readily used to solve problems. My B.Tech degree combined with my corporate experience gave me so many advantages over regular physics graduates who were studying with me. The most important among those were computing and communication skills. While I faced difficulties in the coursework, when it came to computing, I was the king in the class. People used to look at me as if I am some kind of alien because coding and other computer related activities came naturally to me. Whenever there was a computing issue, I was the first person people called. Many students had sought my help in making presentations and other things and I was always ready to help. In the final semester, my instructor asked me to learn LaTeX and I learned it in about 4 hours and wrote my project dissertation in it. I never learned LaTeX before that in my life and I just learned it without any problems. To my knowledge only 4 students in my class wrote their dissertation in LaTeX while everyone else wrote in MS Word. In my project, the initial work was learning cosmology in a computing perspective. From Day – 1 I was sitting and coding in Python to simulate galaxies as point objects. And every day I visited my project guide and reported on my progress (Yes! Every single day!) This comes from my corporate experience where I had to work under pressure to achieve targets within time limits to make my bosses happy. For my project I also had to learn a software called Galacticus which in my opinion is the most difficult software that I have encountered till date. It is a Linux-based tool that generates plots related to galaxy formation and evolution. If I didn’t have the advantage of my computing background, I don’t think I would have been able to do anything with that software. Please don’t misunderstand me. I am not indulging in self praise. I am just pointing out the advantages I had which helped me balance my disadvantages. Yes, there were few physics students who were equally skilled in computing. But compared to the majority in my class, I did have my advantages. If you decide that you don’t want to live on campus or anywhere near it but in the township of Mahendragarh and travel to the university daily then my suggestion is to take a room that has an attached kitchen and cook your own food. In Delhi you get something called “one room set” which is a combination of a bedroom, a kitchen and a bathroom but I didn’t see those in Mahendragarh. There is a food problem in Mahendragarh. It is very difficult to get tasty and healthy food that would satisfy your nutritional needs. There are a few restaurants but they are just “okay” type i.e. not too great. I had taken a room in one of those “PG accommodations” where food was provided but it was a bad idea as the cook didn’t know what he was doing. I would much rather cook my own food. My advice to you is to do the same. If two or three people can take a house and run it properly with cooking food and maintaining the rooms, it would be the best. I have seen tiffin services but never tried them so I can’t comment on their quality. There are laundry services available so if you don’t like to waste time washing clothes then you can avail those. The town has two supermarkets and one elaborate market that resembles Sarojini or Lajpat Nagar except on a much smaller scale and lesser quality. There are also home appliances and furniture shops. I bought my table from one of them which was a good deal for me. There are tailoring and bag repair centers and also clothing and utensils shops. There are also many medical stores and hospitals in case of emergencies. Winters can be as cruel as the summers or even worse and therefore you must be prepared for those. And regarding power failures, I would refrain from commenting on it because it is pointless. So, do I recommend the physics department of CUH as a place for higher education? Absolutely yes! If you want to do your MSc there, go ahead. You won’t be disappointed. But as I said, there are better options out there and you may want to keep CUH as a backup option just in case you won’t make it to the other places. Most of my readers I am sure are young and energetic and can do much better than me in their academics and thus get their admissions in premier institutions either in India and abroad. There are many engineers who have made it to the world of physics before me and some of them did it really spectacularly. There is another blogger who has written about their stories. You can read about them here. If there is any feedback, suggestions or queries you are welcome to comment below. In the beginning of this article, I mentioned that in addition to commenting on my previous article, some students had contacted me via social media. You can certainly contact me via social media if you want to talk to me directly. I am very active on Instagram and you can follow me here if you like. I will be writing a future post about what it is like when you embark into academia after you have crossed 30. It was a funny as well as annoying experience for me and if you are an aged candidate there are certain things that you must know before you make the same decision as me. So that’s it from me today. Thanks for reading! Getting a masters degree in business administration is the dream of many undergraduate students. An MBA enables them to try their hand in the daunting world of business where competence and love for money are paramount qualities expected. However, the question that many students could have in their mind is, “MBA in what?” Throughout my life, I have seen people doing MBA from various institutes in India and abroad. All of them however do it in Finance, Marketing, HR and IT. Most of my friends from my undergraduate days ended up doing an MBA in order to become Business Analysts in IT or banking sectors. It was not until a few years ago that someone suggested me to do an MBA that I started thinking whether there exists an MBA in fields other than what I mentioned. I don’t recall whether it was by sheer accident or because of my obsession with a famous actress, I happened to come across an MBA program in energy management online especially in Renewable or Green Energy management. I mentioned the actress because her Wikipedia article mentions that she uses renewable energy to power her house. Somehow while browsing around the internet, I stumbled upon this possibility. It is not very common for someone to specialize in energy management as a business degree. For one thing it is futuristic and people are a little wary about investing their time and money in educational programs that are futuristic due to the risk factors involved. I had no intention of doing an MBA as I wanted to study science. But my curious mind couldn’t stay idle and I went ahead researching what this program was all about. I thought that perhaps it isn’t such a bad idea to do a business degree if it suits my way of thinking and this one seemed to do exactly that. My online search for information about MBA in energy management brought me to many websites of institutes (42 of them to be exact). They offer masters level degrees like Executive MBA, MScMBA, International Mini MBA, REM-HSG, International MBA, PGPEM, Global Executive or just plain MBA. The funny thing is that 8 of them are in India and I never heard about it. A business degree in renewable energy management makes the candidate capable of finding solutions to energy problems in the world such as rising oil prices, climate change and lack of efficient technology to exploit renewable energy sources. Already scientists are developing new ways to harness power from sunlight, wind, rain, tides and geothermal heat. The rising use of renewable energy sources such as wind and solar farms generate more jobs in this sector whereby giving opportunities to graduates who do this type of degree. Renewable energy management also involves helping business operate using the power generated through renewable resources in an efficient manner. In short, meeting the growing energy demands while simultaneously protecting the environment is a challenge that the MBA graduates in energy management will face. The curriculum of most of these institutes teaches students business fundamentals along with specific problems facing energy industry. The graduates will be made aware of the business aspects of renewable energy along with its impact on environment. The advantage of this type of MBA is that the syllabus focuses on practicality and results instead of just theoretical learning. Thus the skills acquired can be immediately put into practice. Some of these institutes offer campus based degree while others offer an online degree. You can check their respective websites for more information. While compiling this list, I followed the order of sorting the countries according to their Human Development Index (HDI). Therefore the countries listed on the top are the most developed with the highest standard of living and therefore the best education that you can get. I am not saying that the MBA in our country is bad but in case you wish to move to a country with better living standards, then you may opt for countries listed at the top of the list. I will be updating this list as and when I come across new information. Until then whatever queries you may have, you are welcome to comment that there and I will try my best to answer them. I hope this article was helpful. Good luck! Today’s blog post is about a very delicious and comparatively easy to prepare chicken dish from Kerala known as “Chicken Mappas”. Mappas is a broad category of dishes which can be prepared with fish, chicken, mutton and even beef. I am unsure of the origin of this word “Mappas” but my best guess is that it is Middle Eastern. The reason for my guess is that when I was in Bangalore, I used to frequent a restaurant called Savoury Sea Shell in Bannerghatta Road. They had a rich collection of Middle Eastern dishes and one of them was an Arabian Chicken Soup. The bits of chicken were suspended in a thick whitish solution which I think was made of coconut milk. The gravy of Chicken Mappas sort of reminded me of it. Therefore I concluded that Chicken Mappas is a fusion of Middle Eastern and Keralite Cuisines. If you have some disagreement regarding what I said or have some information about the origins of this category of dishes, please let me know in the comments. There are a few things to keep in mind while preparing Chicken Mappas. The pepper shouldn’t be powdered. You must crush the black pepper seeds in a pestle. However, you may choose to use ginger-garlic paste if you don’t like slicing them. Coconut oil is what you need to use to prepare this dish. I haven’t tried other oils but you are welcome to experiment and let me know the results. Chicken Mappas is exceptionally tasty and usually is eaten as an accomplice for Appam, Idiyappam or Ari Pathiri. You may also try it as a side dish for fried rice. Bon appetit! Extra Delicious Andhra Chicken Recipe! So this is the recipe. I hope you will love it. If there is any doubt or feedback, please feel free to comment below. Bon appetit! Yes! You can study Physics after Engineering! Yes, you read the title right. It is indeed possible to become a physicist after you have completed your undergraduate degree in engineering (BE, B.Tech or BS). In fact it is a good way of switching fields if you feel that engineering is not your cup of tea and pure and applied sciences would have been a better option. Sadly, it is often frowned upon by people when someone wants to switch from engineering to physics. The good news however is that there are many institutes and universities both in India and abroad that allow engineers to pursue a masters degree and doctorate in physics if they so choose. Before I get to the crux of the matter, I need to issue a warning. It is not an easy task to switch from engineering to physics. Most institutes require the candidate to have an understanding of basic physics so as to crack the entrance examinations and/or the interview thereafter. However, we have plenty of coaching institutes in our country that train anyone interested in physics with the required materials. I am not going to endorse any particular coaching center but if you are interested and your pocket allows you, then it would be great if you can join one of those centers. If instead you wish to do self study for the entrance examinations, there is an abundance of materials available for you online and otherwise. So, why switch from engineering to physics? Frankly speaking, physics offers less money compared to engineering. If you are a computer science graduate, you can literally mint money while working in the corporate sector. But there are certain types of people (including me) who are much more passionate about the universe and its workings and putting such people in engineering is simply going to make them miserable. They might become good engineers but at the back of their head there will always be a feeling that they could have done better in pure science. If you are one of those, then read on as this can be an eye opener. A caveat I take here is that I compiled the list of foreign institutes almost 5 years ago. I am not sure of the accuracy of these today. However, at the time of compilation of this list, all these institutes had written in their respective websites that they take engineering graduates for a masters degree in physics, astronomy or related subjects. I suggest you contact these institutes individually and find out. Mind you, this list is in the “may be” category. Unlike the previous lists, these universities may or may not admit engineers for a science programme. So don’t come and complain here if your application gets rejected by any of these universities. In fact I don’t take guarantee for the previous lists either. Your admission to any institute in the world is a sum total of a variety of parameters and your ability in qualifying each one of them. No university is obliged to take you just because you applied. However, switching fields to physics after engineering is a long sought after information among many aspirants especially in India and I thought that I should write this article. If you have noticed, the lists here do not follow any particular order. They are not arranged according to country or rankings of universities. The reason is that the list wasn’t compiled in a day. It was the culmination of many years of searching. Thus this list was made as and when I found relevant information. I am sure you have experienced posting on some physics forums about your interest in switching fields to physics and the backlash that comes from the “intellectuals” of those forums. All you get is some mockery and misinformation. For sometime, I had to face that until I decided to figure this out myself. It was not easy but it was fun finding information. I started putting whatever information I could find in an excel sheet. I think it is time to give out this information so that any engineer out there who wants to switch fields to pure science can do so with as little hassle as possible. If you have any doubts regarding what I mentioned here, feel free to comment. I believe that I have done my part in telling you where to get what you want. The rest is up to you. Prepare well for the entrance examinations of these institutes and apply on time. The time has finally arrived for you to pursue your dreams. All the best! 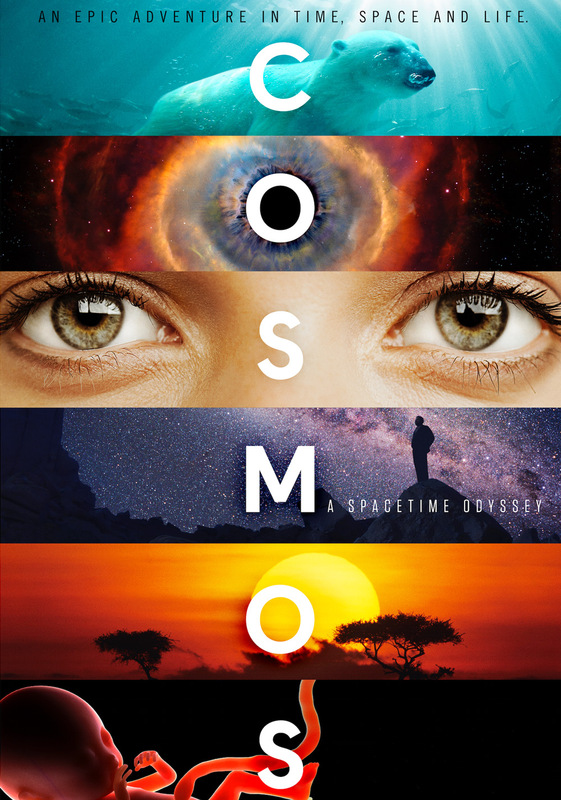 I just finished watching an episode of Cosmos: A Spacetime Odyssey for the nth time. It is a warm evening with no beer. I resisted buying one for reasons unknown to me. I went out and had an Egg Burji from the street food vendor, bought a coke bottle and curd and returned to my room. It has now become a routine for me to stand on the terrace in the evening with a soft drink while staring at the stars and pondering existence. Today’s blog post is an idea that I had conceived a while ago. Many people believe that I am in some type of mission to disprove God’s existence. That is far from the truth. My mission through my blog posts is to elucidate my point of view. Atheists are sadly some of the most misunderstood and mistrusted people on planet earth and if I could make a small but significant contribution in clarifying our position, I would consider that a success. The scale of our universe is enormous. This is a phrase repeated time and again in various TV shows such as Cosmos, The Universe, Through the Wormhole and the like. But how many of us truly stop for a second and let that idea sink in? Most of us simply watch the awe inspiring visuals of these programmes and forget it. We are Homo sapiens ; the thinking beings. Whether you like it or not, faith is not an excuse to stop thinking. It took just 4 centuries for us to move from the Dark Ages to achieving monumental feats like landing a man on the Moon. All thanks to the precision, tenacity and dedication of several visionaries. Brave men and women who were never afraid to question authority and challenge dogma and forge new ideas in the cauldrons of their minds about our understanding of the universe. They were the pioneers; the giants on whose shoulders we stand today. My question is, why then are there a vast majority of people in the world who comfortably embrace the benefits of modern science and yet want to hold onto medieval/pre-medieval superstitions and bronze age myths? 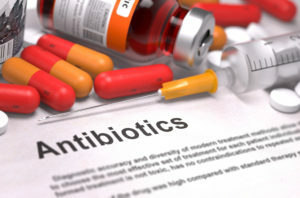 If it wasn’t for the scientific method, we wouldn’t have things like antibiotics and organ transplant that is saving millions of lives every year. Often times I encounter people who ask me the question, “Has science been able to create artificial life?” or make statements like, “Science cannot explain everything“. Somehow according to them what science hasn’t yet achieved gives them room for God. The task I give to such people is to study the history of science and technology and see what they can infer from it. It’s not surprising that no one has taken up that task. If they did take up the task, they will find that throughout the history of science there have been people who made questions and statements like the one I just mentioned. And every time they have been proven wrong. Once upon a time nobody believed that the sound barrier could be broken. I invite them to have a look at the supersonic jets and rockets of today. Heavier than air flying machine was thought to be impossible. Communication without wires was thought to be impossible. Splitting of atom was thought to be impossible. In fact in 1894 the famous physicist Albert Michelson said, “The more important fundamental laws and facts of physical science have all been discovered, and these are now so firmly established that the possibility of their ever being supplanted in consequence of new discoveries is exceedingly remote.” Perhaps he meant well when he said this. However when we fast forward 3 years in 1897 the electron was discovered by Sir J. J Thompson thereby opening up a whole new world within our world. This is what happens every time in science. People point out at something that hasn’t been achieved by science as proof of science’s inability to do so. And time and again they are proven wrong. 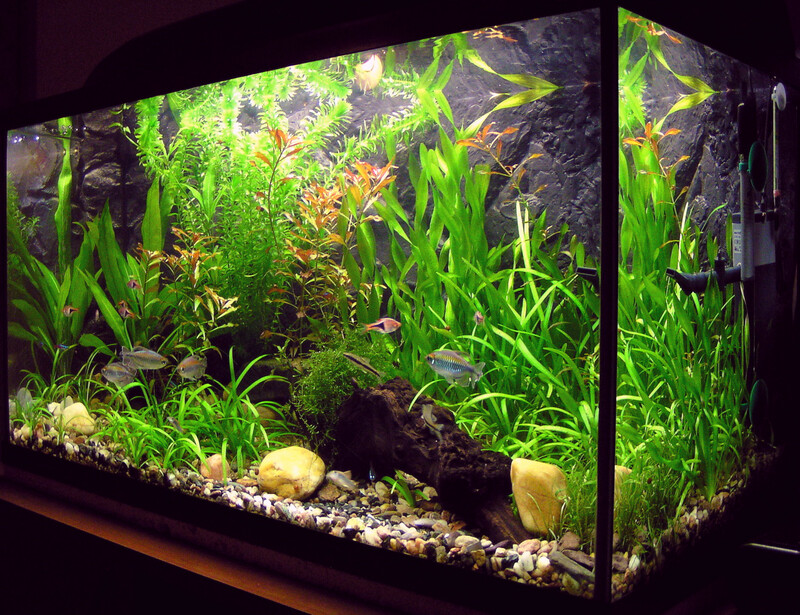 Imagine you wanted an aquarium in your living room. You can either build one or buy an already built one from a vendor. Let’s assume that you decided to build one. You bought the glass, the cement, sand, pebbles, aquatic plants and most importantly the fancy fishes. In addition, you need a setup for the lighting and filters for the water. By investing several hours or even days you finally build your aquarium with the sand, pebbles and aquatic plants at the bottom and all your beautiful fishes moving around in the water above. A good lighting and filtering system would make it a sight worth seeing and a crown jewel adorning your living room. All that is very nice but I have a simple question for you – “Have you ever thought about the little bacteria, viruses.algae, fungi and other microbial organisms living on the little specks of sand at the bottom of your aquarium?” They are also part of your aquarium and contribute to the biochemical activities of it. They are instrumental in many ways in maintaining the ecological balance of the system. And yet you are not feeding it like you would feed the fishes. You are not even bothered they exist. What difference would it make to you whether the bacteria on a little speck of sand lives or dies? Now hold these thoughts for a moment. In the second paragraph I said that the scale of the universe is enormous. The observable universe is almost 93 billion light years in diameter (yes, it is a billion with a b!). That is just the observable part. The light from beyond that cosmic horizon hasn’t reached us yet and therefore we do not know what lies beyond. And even in the observable part of the universe there is so much yet to be discovered. In this humongous universe of ours, where is planet Earth? We live in a planet that revolves around an average star that resides in just one of the spiral arms of our galaxy, which is one of the galaxies in a Local Group of about 54 galaxies including our Milky Way and Andromeda. And our Local Group is part of something called the Virgo Supercluster which contains over 100 such galaxy groups. The Virgo Supercluster is part of an even bigger supercluster called the Laniakea which consists of three other superclusters namely Hydra-Centaurus, Pavo-Indus and the Southern Supercluster. It has an estimated 100,000 galaxies in it. Scientists have calculated that there are roughly 10 million superclusters in the observable universe. These 10 million superclusters give a mesh-like appearance to our universe at very large scales. 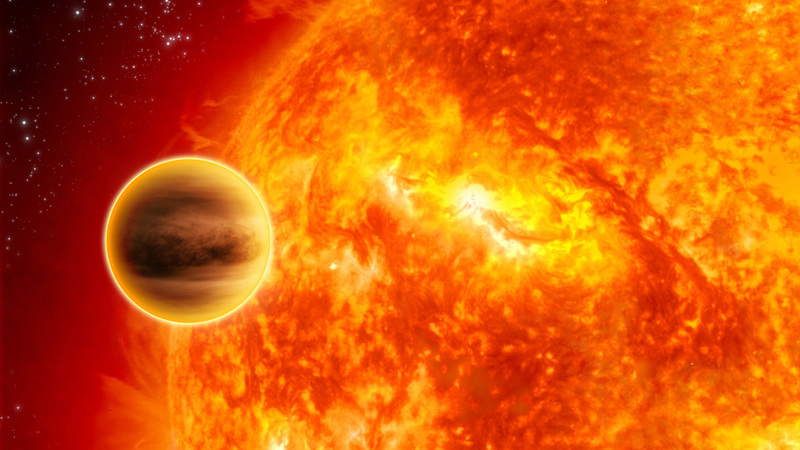 The first exoplanet orbiting a main sequence star was discovered in 1995. It was named 51 Pegasi b. It is a hot Jupiter which takes about 4.2 earth days to orbit its parent star. Since then planetary scientists have discovered thousands of them. As of September 2016, there have been 3,518 confirmed discoveries in 2,635 planetary systems and 595 multiple planetary systems. That’s a huge number of planets within 21 years. It is safe to assume now that most stars do have planets orbiting them thereby making planets outnumber the stars. This means that there must be billions of planets out there in the observable universe. The recent discovery of Proxima Centauri b added another planet in the list of potentially habitable planets which you can see here. There is every likelihood that there are billions of intelligent civilizations in the universe. And our earth is just one speck of sand in the vast cosmic ocean. Now think about your aquarium. Just as you don’t care much about the bacteria living on a speck of sand at the bottom of your aquarium, do you really think that a God or Supreme Being or Intelligent Designer who created a universe the scale of which blows our imagination would have any special preference to a particular species of creatures on planet earth? Why would he/she/it have kind of “soft corner” for our species at all? We are just living in a planet that is totally insignificant in the grand scheme of things. Is there any logical reason God could care about us more than any other intelligent alien civilization which is most likely out there? So what conclusion can you draw from this thought experiment? Five Bruce Lee Myths That Never Die! Since Bruce Lee’s death, myths and misconceptions about his lifestyle, fighting system and martial philosophy have been spread across the world and it continues to this day. Some of these misconceptions are grounded in certain realities while others are outright falsehoods. Plenty of die hard fans of Bruce Lee have objected to these myths in the past but somehow they have survived. While growing up even I had heard of many myths which I found to be incredible when I was a kid. When I found out the truth behind these misconceptions, I was not shocked. Instead I felt that Bruce Lee was a legend that went out of control in the minds of people. In this article I will discuss the myths that I personally heard from people who are close to me. I am sure they will keep you interested. This is perhaps the most widely believed Bruce Lee myth. Even in a recent episode of the sitcom The Big Bang Theory, Kunal Nayyar mentions Bruce Lee and his Karate which made me think why hasn’t this myth died yet. It is true that during his stay in the United States, Lee was associated with several martial artists many of whom were Karate experts. His students, friends and fellow martial artists such as Ed Parker, Dan Inosanto, Taky Kimura and Chuck Norris are good examples of this. However, Bruce himself didn’t practice Karate as far as my understanding goes. In fact he despised the idea of style itself during his later years. He adopted a training system which he called Jeet Kune Do that was highly adaptable and flexible and discarded the notion a rigid set of rules in combat. His original training was in Wing Chun kung fu from Grandmaster Ip Man which he couldn’t complete since he moved to the United States. From then on he started adopting techniques from different fighting systems such as Boxing, Fencing etc. Perhaps he did adopt some methods from Karate as well. But he was never a Karate “artist” as most people believe. This came from my old Karate master. He is a great martial artist but this particular information from him was not entirely accurate. It is true that there is a famous martial artist who started with kung fu but later switched to Karate. However, that man is not Bruce Lee. His name is Masutatsu Oyama. The Wikipedia article on Oyama clearly describes this transition. Oyama, born Choi Young-Eui was a Korean martial artist who initially trained in Chinese martial arts while he was living in his sister’s farm in Northeastern China. His first teacher according to the article was a farmer named Li who worked in that farm. Later he moved to Japan aspiring to become a fighter pilot. He obtained his higher education in Japan and also training in Karate. He trained under Gigo and Gichin Funakoshi in Shotokan style and under So Nei Chu in Goju Ryu style Karate. He also attained 4th Dan in Judo. He went on to develop his own version of Karate which is today known as Kyokushin. Somehow this story was wrongly associated with Bruce Lee. Actually there was a funny poster I saw online of Enter the Dragon written in Malayalam which was released in Kerala many years after Bruce Lee’s death. Unfortunately I am unable to find it now. In that it is written “Kharatte!” in Malayalam script which is a mispronunciation of Karate. Anyway, I think this myth has been debunked for you. This is another incident that is real but wrongly associated with Bruce Lee. It is said that Bruce Lee fought with 50 bulls in the streets of Hong Kong of which he killed 2 and broke the horns of 48. An incredible story indeed but it is not Lee who is the central character in it. It is again part of Mas Oyama’s biography that is incorrectly attributed to Lee. In the “About the Author” section of the 1967 book by Mas Oyama titled Vital Karate, it is clearly written that it was Oyama who performed this incredible feat. However, he didn’t do it in one shot. It was a collection of feats throughout his lifetime. And the real numbers are like this – there were 52 bulls of which 3 were killed and 48 had their horns snapped. And Oyama achieved this score over a long period of time. So the next time someone tells you this, correct that person with the right version of the story. No he did not! Bruce Lee used to have a unique diet that let him practice his martial arts in the most effective way. One of the items in his diet was a special protein shake that he prepared using raw beef. If you search online you will find the recipe of this shake which includes raw beef, egg and milk. I don’t know how protein milk shake became goat blood while traveling from United States to India. To be fair, there are some sources online that claim that Bruce used to drink cow blood but later stopped since he couldn’t sterilize it. Anyway, unless I find a reliable source for Lee’s blood drinking, this will remain a myth. This is the granddaddy of all Bruce Lee myths. Many people have told me this – “Bruce Lee was brutally murdered inside the bathroom using poisonous gas.” Unfortunately it is not true! Lee did die a mysterious death causing speculation about a possible murder. And over the years especially after his son’s death the rumor grew to epic proportions. People theorized that both Bruce and his son Brandon were a threat to someone and that is why they were eliminated one after the other. This couldn’t be farther from the truth. There are many factors that led to Lee’s death. Most importantly, his tendency of misadventure. In Malayalam we can say ഓവർ അഭ്യാസം! During his later years he had a terrible weight loss from 70 to 60 kg and people who had met him during that time confirmed that he looked unhealthy, paranoid and depressed. In addition to this he was sensitive to certain pain killers such as Equagesic, Doloxene and Dilantin. He had a spine injury in the sacral nerve in 1970 for which he had been taking Doloxene. This coupled with the fact that he was a workaholic perfectionist would have led to his eventual death. On the day of his death he did take Equagesic for a headache after which he went into a nap from which he never woke up. Two months prior to that he had been diagnosed with Cerebral Edema when he fainted during the dubbing session of Enter the Dragon. So that is settled. Bruce Lee died of medical causes. There was no conspiracy against him and he was never a threat to anyone. As I said, these are the myths about Bruce Lee I grew up listening to from many people. If there are any more myths that you want me to address, please let me know and I will include them. 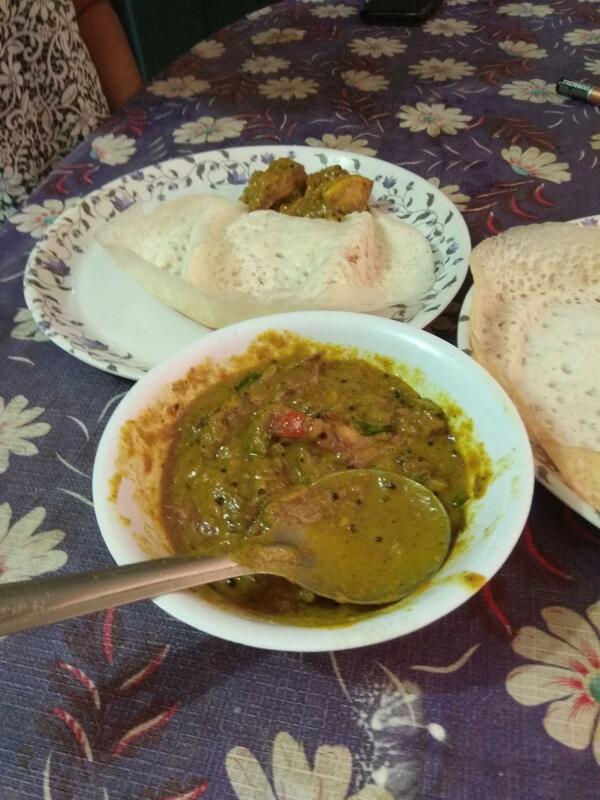 Ginger Curry or Inji Curry in Malayalam is perhaps the tastiest of all curries in Kerala cuisine. According to legends, a good ginger curry is equivalent to 1000 curries. Vararuchi was a brahmin in ancient Kerala. He used to travel to distant places and during his trips he used to have food from the Brahmin families he visited in those places. One day he visited a house and was attracted to the daughter of the family. He however wanted to test her before he proposed his interest to marry her. So he asks her to prepare him food with 1000 curries. The girl’s mother was baffled because she thought it was impossible to prepare 1000 curries in such a short time. However, the clever girl asked her not to worry and prepared Inji Curry. Vararuchi was very impressed with the meal that consisted of rice and just Ginger Curry. Since then Ginger Curry is said to be equivalent to 1000 curries. If you are interested in preparing this legendary dish as it is prepared in my native Quilon (Kollam) district, then here is how you can do it. Put the tamarind in water and stir until it becomes a juice. Heat the coconut oil in a pan and deep fry the ginger pieces until golden brown and set aside. Repeat the procedure with the shallots. Repeat the procedure with the 15 curry leaves and 6 garlics. 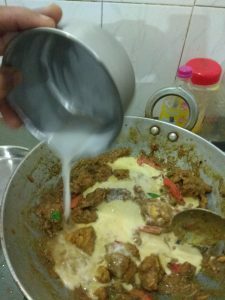 Once all the fried items have cooled down, you have to mix them and grind them into a paste by adding a little water. Filter the oil that you have used for frying and use it again to fry a small piece of asafoetida. Once fried, you have to powder it. Heat the mustard in the same oil after you have taken out the asafoetida. Once the mustard starts popping reduce the flame and add 2 spoons of coriander powder and 1 spoon of red chilli powder to it. Immediately after that add the paste that you had prepared before. Make sure that there is no more than 2 seconds delay since the chilli powder may get burned out. Once you have stirred it well, add the tamarind juice along with salt and two pinches of fenugreek. Add powdered asafoetida and pepper to this. 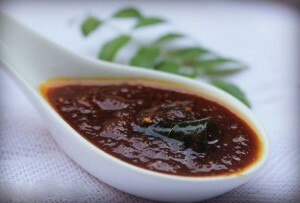 This is the Kollam style ginger curry. Try it out and let me know how it tastes. This can be a side dish for both rice as well as drinks. Mars One – Aren’t We Going Too Fast? Mars One is perhaps the hottest news in the aerospace and astrophysics fields. It gives hope to our species as a next step in becoming in a multi-planet civilization. This highly ambitious project of landing groups of brave men and women on the red planet does however have its fair share of critics some of whom include researchers at MIT and astrophysicist Neil deGrasse Tyson. So I am curious to ask. Aren’t we going too fast with this project? Is 2024 the right time for human settlement in Mars? Every space mission prior to this have had several trial runs. For example the lunar missions involved first sending an orbiter around the moon followed by impactors/landers. While America went onto send humans to the moon the Soviet Union did unmanned sample returns. So it is clear that space missions to any celestial body should be done in stages. NASA and other space agencies including India and Japan have achieved orbiting and landing capabilities on other celestial bodies. Therefore unmanned missions to Mars with the capability of returning samples from Mars in my opinion should be the next stage. Russia in 2011 attempted the Fobos-Grunt which was a sample return mission to the satellite of Mars called Phobos. The failure of the mission to even leave the Earth orbit proves how difficult it would be to pull off ambitious space programs. When we talk about Mars missions, most of us only look at the success stories. We must all take a look at the number of Mars missions by both America and the Soviet Union which failed. The challenges involved in long term spaceflight are quite different compared to missions to Earth orbit or even to the Moon. The biggest challenge is communication. Calculations show that the time delay for radio signals between Earth and Mars can vary from 3 minutes to up to 22 minutes depending on the position of the two planets at any given time. This makes all sorts of “real time” communication known to us useless. It is possible to have a web server orbiting around Mars that periodically synchronizes with servers on Earth. That way a copy of the world wide web can be provided for the astronauts in Mars. Emails can also be taken care with this solution. However, the early astronauts going to Mars are not going there to use YouTube and Facebook. Their mission can go critical anytime and the time delay between the two planets will make a distress call an impossibility. Further, even if distress call does reach Earth, there is no way a rescue team can be sent and by the time a communication is sent back, the mishap could have already occurred. This brings us to the second challenge – training. What type of training can equip a person to handle critical situations in an alien environment with no hope of getting help? Can the team be divided in qualifications or should every team member have all the qualifications. I remember one of my previous professors who said that a degree in medical sciences is important for every astronauts going to Mars despite their work. So dual degree specializations like engineering + medicine or physics + medicine should in his opinion become part of learning curriculum for astronauts to Mars. The justification he gave was that no crew would want to be in a situation where their only doctor is dead. But is medicine the only compulsory specialization? How about instrumentation? Shouldn’t the astronauts who wishes to colonize Mars be masters in instrumentation? Teaching every crew member in everything will increase the cost and not teaching would be risky. So there is a tradeoff between cost and risk. According to Mars One website, the crew will undergo training starting this year until 2024. That is a total of 9 years training. It would be amazing if the crew does survive that training. Some candidates selected for Mars One have told that many English people migrated to Australia and never returned. That may be true, but if they really want to return to England they can do that tomorrow. Christopher Columbus did return to Spain after his voyage to the West Indies. Vasco da Gama did return to Portugal after his voyage to India. I am not being paranoid but let me give a scenario. Like in many science fiction movies, what if there is a life form on Mars that we haven’t yet found? What if this life form infects humans in negative ways? In such scenarios, the uninfected/unaffected crew members must have an option to escape the planet. There is a difference between being brave and being foolhardy. A mission to Mars is amazing. But it shouldn’t be a suicide mission and definitely not a one-way trip. Even if the intention is to colonize the planet the crew members should have a chance to return home if the mission fails. And when it comes to Mars missions, the past teaches us that failure is part and parcel of it. With all the problems described above, going to Mars is certainly the most risky and the most costly exploration program ever conceived. As Dr. Tyson already pointed out, private companies aren’t interested in investing in an endeavor with so many unknown parameters and huge risk. According to him this can cause Mars One to fail to get funding. Should we then abandon the mission? Of course not! We are explorers by nature. Mars One or any other similar missions should never be abandoned. However, there must be some tweaks done to the existing methodology. As I said before, it should be done in stages. The following is a rough sketch of what can be done. Sample Return – All space agencies in the world including the private ones should at least try one unmanned mission that involves going to Mars, taking samples and returning them to Earth. The more such missions we try, the better equipped we will become in preparing for a human spaceflight. This will also teach us about landing and take off with heavy payload on Mars. Manned Orbiter Missions – It is a good idea to send a manned orbiter mission around Mars. Astronauts can spend a few orbits around the planet and return. This will simulate all the necessary physiological and psychological aspects in deep space missions. simulate long term manned spaceflight by send humans in an orbit around the Sun. Space Stations – Orbiting space stations around Mars is a solution to the safety and return problem. The backup crew can live in the space station while the landing party conducts their business. Further, the landing party can come aboard the space station for the backup crew to go down. This will ensure better efficiency. In addition, during distress, the entire mission is not at risk. Perhaps a secondary landing party can be deployed to investigate problems. At least there will be one person to come back and tell the story. Data Banks – Huge data banks with information crafted by specialists from around the world should form the primary reference of the astronauts in addition to the internet facility that I mentioned before. Every possible scenario involving medicine, engineering, planetary geology, biotechnology etc. that the astronauts might find themselves in should be thought out and the solutions must be given. It may take months, years or even decades to develop. But it needs to be done nevertheless. Though a huge fan of Mars missions, I think we as a species are still not equipped with the technological prowess to pull off a manned trip like Mars One. I certainly believe that we are going too fast with the Mars One mission. 2024 is only 9 years away and we still haven’t fully understood the effects of long term manned space missions in deep space. The only data we have are from long term space station missions and the psychological impacts on the astronauts and cosmonauts who spend a long time in space are not that good. A well planned and well coordinated effort is the way to go. There is no need to rush. There is no space race between any superpowers these days. Burks, Robin. 2014. “MIT outlines why the Mars One mission will fail.” Tech Times. Oct 14. Accessed Mar 10, 2015. http://www.techtimes.com/articles/17782/20141014/mit-outlines-why-the-mars-one-mission-will-fail.htm. Depra, Dianne. 2015. “Neil DeGrasse Tyson Thinks Mars One Mission Will Fail To Get Financial Backing.” Tech Times. Mar 9. Accessed Mar 10, 2015. http://www.techtimes.com/articles/38305/20150309/neil-degrasse-tyson-thinks-mars-one-mission-will-fail-to-get-financial-backing.htm. Do, Sydney, Koki Ho, Samuel Schreiner, Andrew Owens, and Olivier de Weck. 2014. “AN INDEPENDENT ASSESSMENT OF THE TECHNICAL FEASIBILITY OF THE MARS ONE MISSION PLAN.” 65th International Astronautical Conference. Toronto, Canada: MIT. 35. http://web.mit.edu/sydneydo/Public/Mars%20One%20Feasibility%20Analysis%20IAC14.pdf. n.d. “How does the Mars base communicate with Earth?” Mars One. Accessed Mar 10, 2015. http://www.mars-one.com/faq/technology/how-does-the-mars-base-communicate-with-earth. “List of missions to Mars.” Wikipedia. Mar 8. Accessed Mar 10, 2015. http://en.wikipedia.org/wiki/List_of_missions_to_Mars. Ormston, Thomas. 2012. “Time delay between Mars and Earth.” ESA Mars Express Blog. Aug 05. Accessed Mar 10, 2015. http://blogs.esa.int/mex/2012/08/05/time-delay-between-mars-and-earth/. “Sample return mission.” Wikipedia. Mar 8. Accessed Mar 10, 2015. http://en.wikipedia.org/wiki/Sample_return_mission#Sample_return_missions. I am pretty sure my dear readers are well aware of the political situation regarding availability of alcohol in Kerala, my home state. Considered one of the prominent states in India with regards to consumption of alcohol, Keralites have been criticized even by the former President of India who said that Kerala is submerged in liquor. But I am tempted to ask – are things so bad in Kerala? According to the World Health Organization census of 2010, India is not even on the top 100 highest drinking nations. If I counted the list right, India ranks 118th which is in no way a bad thing especially by the fact that India is the second most populous country in the world. Now what is the status of Kerala? According to the National Sample Survey Office, Kerala ranks 18th in the consumption of alcohol and other habit forming substances. A state ranked 18th in a country that is ranked 118th globally statistically adds up to nothing in the grand scheme of things. I think more reforms should happen in states like Andhra Pradesh, Telangana and Arunachal Pradesh than here. The Dry Day Nonsense – “Dry Day” is a day that is observed with total abstinence from liquor. Theoretically it should mean no one consumes liquor on that particular day. But is it working? For the past few years Kerala has been observing “Dry Day” on the 1st of every month. That’s great but one should note that the clever people here buy and stock their required alcohol on the previous day itself. Recently a new “Dry Day” has been imposed on Sundays. Has that changed anything? Absolutely not. People are buying and stocking on Saturdays. So what is this game that the government is playing? Creating an impression that it is doing something and in effect doing nothing! Capitalizing on a Non-Issue – Till date I haven’t understood what the anti-alcohol fellows really want. Last day I heard in the news that tourists are coming to Kerala not for drinking but for sight seeing. That may be true, but how many tourist spots are there across the world where alcohol is banned? Not many I guess. I will let the readers Google that for me. Banning liquor altogether or restricting it in unrealistic ways is going to adversely affect the tourism in Kerala which is an excellent source of revenue for the state. The curious aspect of this problem is that a total ban is not going to be implemented in many five star hotels. So what is going on here? Banning the local bars and liquor shops but letting the big fishes run does not seem fair and proper. It looks more like a sinister agenda which the government is liable to explain. Accidents and Crimes – Most people site accidents and rising crime levels on alcohol consumption. I am not sure whether that correlation is correct. Crimes take place due to several factors most of which are poverty, competition, disputes, intolerance, ignorance and plain hatred. Alcohol may aggravate these situations and tendencies but that is not the only factor. A violent and evil person will commit a crime even if he/she is not intoxicated. And is alcohol the only intoxicant? These days even young students in schools are coming up with increasingly fancy methods to intoxicate themselves (including smelling the paper correction liquid) thereby coming under the influence of anti-social elements. Next is the possibility of accidents. For that all I can say is that even sober people cannot drive properly in the roads of Kerala let alone an intoxicated one. I think if the government moves forward with reforms in constructing better roads than wasting time on non-issues, we will have lesser road accidents, drunken or otherwise. Considering the sad state of affairs, what can be done so that both people and the government are happy? Regulated Drinking – A proper liquor requires time and effort from inception to consumption. It can span from a few days to several years depending on the type of liquor being produced. With all the efforts involved in producing good quality liquor from brewing to distilling to aging in wooden barrels, the producers won’t feel like doing binge drinking which is touted up as a major problem in the state. In fact the person will start respecting his health more and will drink only within the healthy limits as is done in most countries known for drinking. Understanding Scientific Method – An educated person knows that knowledge of chemistry can improve the quality of medicines, food and of course liquor. Creating a better brew will push the person to learn more about the chemistry behind the processes involved thereby giving him a deeper understanding and insights into science. From setting up the apparatus to monitoring progress to making notes about changes and patterns are all part of scientific method and liquor brewing is a fantastic hobby to inspire scientific thinking. Quality at Low Cost – Taxation on liquor is seriously a big problem. And is the liquor sold in Kerala worth the money spent? Certainly not! The “Indian Made Foreign Liquor” is one of the most idiotic liquids I have ever consumed. It tastes bad to say the least and has all sorts of additives that creates the feeling “Why on Earth did I even drink it?” So why bother spending all that money on something which is nothing more than flavor mixed spirit? Buying an imported liquor is not possible for many people. But if they can follow the exact procedure in producing imported liquor at the comfort of their homes, they can have the quality that they desire at a much lower cost. Further, the creative hobby of homebrewing and distilling also lets people customize the process to produce the flavor and feel that they like the most. Solving a Paradox – Wine which contains alcohol anywhere from 8% to 20% is allowed to be made at home. Beer which has only 5% to 6% alcohol is not allowed. That makes no sense. Why can’t I make beer at home when I can make wine? If government wants to forfeit their revenue made from liquor that is fine with me. But please let people make their own stuff for their own personal use. Even if the government implements a total ban, what is the guarantee that there won’t be an illegal inflow of liquor from outside? I believe my point has been made clear. Some information I have given in this article are referenced whereas others are my own assumptions and inferences and should be taken as such. But the readers should not misunderstand me. I neither endorse alcoholism nor intend to promote drinking habits among any person from any place in any form. Further, this article should not be taken as a motivation to produce alcohol without permission. Drinking like any other habits should be restricted to people who have attained the age to make their own choices and decisions. However, I couldn’t help but point out the seemingly nonsensical ways by which the current government is creating an issue just to show that they are doing something. n.d. Homebrewing. Accessed Dec 7, 2014. http://en.wikipedia.org/wiki/Homebrewing. 2014. India’s Kerala state plans to ban alcohol sales. Aug 22. Accessed Dec 7, 2014. http://www.bbc.com/news/world-asia-india-28892073. 2014. List of countries by alcohol consumption. Accessed Dec 7, 2014. http://en.wikipedia.org/wiki/List_of_countries_by_alcohol_consumption. S, Rukmini. 2014. India’s biggest drinkers. Aug 23. Accessed Dec 7, 2014. http://www.thehindu.com/opinion/blogs/blog-datadelve/article6344654.ece. Smith, Brad. 2009. The Advantages of Home Brewed Beer. Feb 1. Accessed Dec 7, 2014. http://beersmith.com/blog/2009/02/01/the-advantages-of-home-brewed-beer/. Tharoor, Shashi. 2014. The Risks of an Alcohol Ban for God’s Own Country. Sep 1. Accessed Dec 7, 2014. http://www.ndtv.com/article/opinion/the-risks-of-an-alcohol-ban-for-god-s-own-country-by-shashi-tharoor-584876.